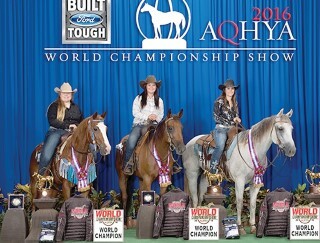 Windham resident Taylor Dyke, 19, won The Build Ford Tough 2016 AQHYA Team Penning World Championship in Oklahoma City for the second year in a row. Last year she was the reserve champion, according to her father Jeff Dyke. The competition took place in August. Taylor is in the white shirt. Taylor and her team competed against 2,180 entries for the United States, Australia, Canada, Ireland and the United Kingdom, all competing for 35 world championships. The Ford Youth World is the pinnacle event for the American Quarter Horse exhibitors ages 19 and under around the world. Taylor will compete in the adult AQHA world competition next year. She will also start culinary school in January along with continuing her riding. Question I: Do you want to allow the possession and use of marijuana under state law by persons of at least age 21; and allow cultivation, manufacture, distribution, testing, and sale of marijuana and marijuana products subject to state regulation, taxation, and local ordinance. This legislation would implement a new system of regulation in order to provide a legal recreational cannabis market to Maine’s non-medical population. The Campaign to Regulate Marijuana Like Alcohol has worked hard for the past few years with members of Maine’s Medical Marijuana Program, and others, in order to outline vocabulary that best supported their intentions for this initiative. Supporters of the bill speak of tax revenue, job opportunities, and legal moralism in garnering votes. The opposition poses concerns with regulating a plant as alcohol while it’s simultaneously regulated as a medicine, and how having two parallel systems of regulation could potentially impact medical marijuana infrastructure throughout the State of Maine. Maine was the first state to decriminalize the cannabis plant in 1978, and was among some of the first to legalize its medicinal use in 1998 and some are nervous of how the two could coexist. While the actual legislation is riddled with clauses specifically stating “this chapter may not be construed to limit any privileges or rights [granted]… under the Maine Medical Use of Marijuana Act”, it’s implicitly suggested that this legislature promotes a production-based marijuana industry. Bangor Daily News, in opposition to the bill, noted that adding a new system of regulation for police to integrate may not be wise with the growing opiate/heroin epidemic. Many caregivers are worried that particular aspects do not support the efforts of small-businesses and farmers, as industrial approaches historically don’t bode well for the little guys. Whichever way Maine goes with Question I, it’s important to note that it has no effect on the Federal prohibition of cannabis, so you may still be penalized for use and possession of the plant on Federal property. Question II: Do you want to add a 3% tax on individual Maine taxable income above $200,000 to create a state fund that would provide direct support for student learning in kindergarten through 12th grade public education? The idea is to bolster State funding for K-12 public education, through the establishment of this fund and financial backing from Maine’s upper middle class. While this doesn’t seem as exciting as pot or guns, it holds great significance in reaching our state’s annual mandate of 55 percent funding for public schools and their staff. Teachers, school nurses, librarians and others would have access to funds in order to stock their classrooms and offices without it costing them, personally. Teachers and school staff are among some of the most under-valued and under-paid employees in our country, and at a time when education and development are of critical value. It’s common knowledge how people feel about taxes. Some see this as taking hard-earned money from someone and simply giving it to another, others consider it much more like an investment. Not only would this 3 percent tax provide security where it’s most needed, both monetarily for a teacher struggling to stock her classroom and refrigerator at the same time, and for the varying districts that need a few more teacher assistants and tutors than another. It also sets the example that we value and encourage education, which the youth will not only see in politics, but, regardless, will experience in the classroom. Question III: Do you want to require background checks prior to the sale or transfer of firearms between individuals not licensed as firearms dealers, with failure to do so punishable by law, and with some exceptions for family members, hunting, self-defense, lawful competitions, and shooting range activity? Since the Brady Bill was enacted in 1994, it has effectively prevented 2.8 million gun sales to prohibited buyers, according to the Brady Campaign to Prevent Gun Violence. Yet, research estimates that around 40 percent of firearms are obtained without a safeguard, such as online, independent, and gun show sales/transfers. Some people believe closing those few gaps could help. This legislation came from a skeleton built on Michael Bloomberg’s bill for New York’s gun laws. Every Town For Gun Safety, Mainer’s For Responsible Gun Ownership, the Maine Municipal Association, and a number of law enforcement have publicized support for the bill. However, the Maine Warden Service, 12 of 16 Maine Sheriffs, and proponents of limiting government have opposed the bill with the usual rhetoric. While criminals are gonna get guns regardless of the laws, and only law-abiding citizens may be impacted by new background check laws, it is undeniable that remaining inactive on gun responsibility and accessibility should not be an option any longer. Since Sandy Hook the debate has flared up with its repetitive jabs and passionate points from both sides, only to stagnate until another round of grisly slaughter brings us, briefly, back to the issue. While gun rights and responsibility are key to a successful hunting tradition, as well as Maine communities, we ought to wonder, whether or not this initiative passes, if both sides of the debate would be willing to unite to fight for the re-institution of gun education in Maine schools. After all, an educated populous is the best defense against the charlatans that attempt to exploit our ignorance. Question IV: Do you want to raise the minimum hourly wage of $7.50 to $9 in 2017, with annual $1 increases up to $12 in 2020, and annual cost-of-living increases thereafter; and do you want to raise the direct wage for service workers who receive tips from half the minimum wage to $5 in 2017, with annual $1 increases until it reaches the adjusted minimum wage? This bill would, effective 1st January 2016, increase the hourly minimum wage to $9/hour, and by a dollar per hour each year until 2020, where at $12/hour, it will appropriately increase at the same rate as the cost of living. Furthermore, service industry minimum wage for workers receiving tips would change from $3.75/hour to $5/hour, with annual $1/hour increases until it matches the regular minimum wage, which is to occur no sooner than 2024. While countless opponents of minimum wage increase cite small-business failure, job losses, and increased costs in the marketplace, there is an important economic consideration that is notoriously absent from such rhetoric. Wages haven’t been adjusted to inflation since the 1970s, and the Economic Policy Institute reports that the lowest-paid workers in America have lost five percent of their purchasing power since Ronald Reagan became president. We’re living in the post-recession world, where technology is in hyperdrive and productivity has no comparison to our workforce capability. People today work harder and longer for far less than in previous decades, and it’s worsening each year. Poverty wages decrease customers’ buying power and encourage them to spend where capable; often with conglomerates like Walmart, who impose such wages on their employees while raking in more profits that most small countries, and returning none of the benefit to the local community. In order for people to support their economy, they have to be able to participate in it. If local and small-businesses are to survive, their employees have to be able to use them. It’s a Maine tradition to be self-reliant and dedicated to our communities. Divesting from multinationals and investing in our local economy could be the next big step for Maine’s future. Positive market changes come with time and faith, and the opportunity to begin may only be a few weeks away. Question V: Do you want to allow voters to rank their choices of candidates in elections for U.S. Senate, Congress, State Senate, and State Representative, and to have ballots counted at the state level in multiple rounds in which last-place candidates are eliminated until a candidate wins by majority? “Ranked-choice voting is a method of casting and tabulating votes in which voters rank candidates in order of preference, and tabulation proceeds in rounds in which the last-place candidate(s) are defeated and the candidate with the most votes in the final round is elected,” as summarized in the bill. With the embarrassing happenings of our 2010 state election, and the continuing nature of our current election, Question V comes as a blessing. Ranked-choice would replace Maine’s caucus system and would differ from the typical mode of primaries by eliminating the continuing bias for a two-party system. Instead of getting down to the wire and woefully differentiating between red or blue, this system would better facilitate third-party and independent candidate consideration. It would clarify voter preference, and determine the best candidate through the views of Maine’s constituency. For example, if Maine wanted Bernie Sanders to be president, and really didn’t want Donald Trump to be president, they could vote in order of Bernie Sanders, Hillary Clinton, and Donald Trump, to distance themselves from the prospects of a Trump presidency. Similarly, if Mainer’s were morally opposed to Clinton, they could order their ticket Sanders, Stein, Johnson, Trump, Clinton to ultimately disqualify Clinton from consideration. If passed, Maine will be the first state in America to initiate ranked-choice voting. After the past few elections, it may become a bright and shining example of political progressivism. To be able to determine specifically which candidates one prefers, in order, is one of the most democratic proposals to date. Portland embraced ranked-choice for mayoral elections in 2011. 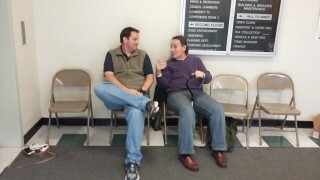 Auditions for One Flew over the Cuckoo’s Nest were recently held at the Windham Town Hall. This production, directed by Rob Juergens piqued my interest because I loved watching this iconic film. 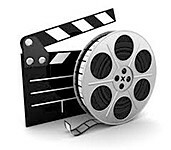 I decided to attend the auditions, as a writer first and actor second. As the latter I failed. To be honest, the last time I acted was over a half century ago; well on a stage anyway if you get my drift. Anyway, this was a cold reading. I had no idea what a cold reading was and even now I am not sure if I had I would have tried out. My guess was this type of casting was done to weed out, in the interest of time, those who have little or no experience. Reading cold simply means reading from the script without memorizing the lines. If this wasn’t difficult enough I was given the task of reading for the part of McMurphy, the lead role played by Jack Nicholson. Perhaps this was due to the fact that my scalp is follicly challenged. I’ll never know. What I do know is, or rather what I learned was, that reading doesn’t mean just reading. Entering the door of the town hall, I was entering a portal into another realm. Thankfully the individual who was handing out the forms to fill out was pleasant and with a sense of humor. “I do not usually do this sort of thing so I am not sure what I am doing,” said Gail White. 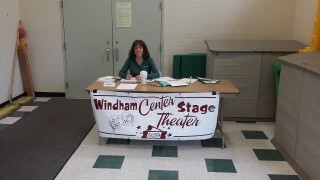 White is on the board of directors of the Windham Center Stage Theater and through her children, former producer of children’s productions. This would snap me, albeit temporarily, back into reality. While sitting in the waiting area I had the opportunity to dwell on the advice given to me by an experienced actor waiting for his opportunity to shine. “The best advice I can give you is just relax. Easier said than done (tell me about it) I know, but it helps,” said 44-year-old Randy Hunt, who just moved to the area in May from Bangor. “I used to get nervous about auditions, but I pretty much got over it. If it happens, it happens. There are plenty of shows out there, especially in this area,” he continued. “Try to make as much eye contact as possible while reading and don’t make it sound as if you are reading from a book,” Hunt advised. Sounds easy enough, I thought. I’ve read in front of a congregation before and on a professional level when in an upper management position. However, the intimidation factor in those situations is non-existent. It’s all a state of mind. Yet I could not help look at the panel of three individuals sitting behind a table critiquing and knowing this is an attempt to do something they knew I have basically never done before. This can make casting challenging. “Casting is very tricky. Voice is an important quality-especially when I know we are not using microphones. So I look for volume and diction, as well as tone. A flat, monotonous reading is a bad sign, even on a cold reading. I also look for some type of characterization, so that I can see if the auditioners can bury themselves in a role. When I get caught up in a reading I know that I am hearing something good. And sometimes I just guess,” continued Juergens. How much one should expect to dedicate depends on the show. “Musicals add singing and dancing so they are larger commitments. Smaller cast shows tend to focus the rehearsal process. At any rate, two to three rehearsals a week is common, with more as you get into the week before the show, commonly called Hell Week, Heck Week or Tech Week,” Juergens added. Besides the obvious, the benefits of being a cast member can be enriching. “Casts become like families. Something about the shared creative process draws people together. Acting is also great for anyone who has to deal with the public, since it improves volume and diction. It is also a nice way to give to the community. And lastly it’s just a lot of fun,” concluded Juergens. As I was leaving and telling those waiting to read about the outcome of my performance, and I use that term loosely, I thought about the lobotomy the character I was reading for endured. I felt I had just gone through that procedure and all I could do was smile. I told those in the lobby waiting to break a leg and when the door closed behind me I began to laugh aloud. I was happy my day job was secure. Balancing a checkbook, getting bills in the mail, writing the checks and sending them back out is a pretty common occurrence in most households. 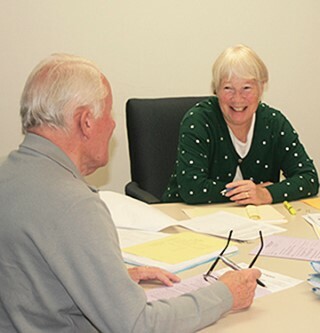 The Money Minders program from Southern Maine Agency on Aging matches trained and bonded volunteers with clients who need help managing their daily and monthly budgets including paying bills in a timely manner. With this type of help, adults over age 55 can continue to live independently, while preserving dignity and privacy. The free, individualized program can be tailored to meet the needs of each client, according to program coordinator Nancy Gray, who started with the program over the summer. “I was particularly interested in this position at the Southern Maine Agency on Aging because I helped my aunt as she got older, and when I saw this program and how it helps, I could see that a program like this would’ve helped my aunt a lot,” she said. Unfortunately, Gray didn’t know about this program at the time. Most of the clients drive, cook and are very active, they just have trouble balancing their checkbook register, Gray said. Most clients see a Money Minder once a month. There are options for visits more often if needed. The Money Minder program has a strong volunteer base, but finding volunteers where there are clients and vice versa proves to be tricky in some areas. There are a few volunteers in the Windham and Raymond areas and clients who are using the program now. There is always room for more volunteers and clients, Gray said. There are requirements for eligibility into the program. Clients must have an annual income of less than or equal to $45,000 or $55,000 for two people and liquid assets of no more than $100,000, not including primary residences, first car or retirement accounts. There are many safeguards put into place to protect the volunteer and the client including not having more than $3,500 in the checkbook they are working with. The client is the only one who signs the checks. The clients also provide access to the bills and bank statements and have a desk or table where the volunteer can work. The volunteer can help with creating a basic budget, opening, organizing and sending out mail, writing checks, but not signing them, balancing a client’s checkbook and assisting creditors and referring resources to the client. “There are a lot of checks and balances to make sure everything is done in a manner the client will be happy with,” Gray said. Services are offered in York and Cumberland counties. “The volunteers get the sense of satisfaction that they’re helping someone who might not be able to stay in their home,” Gray said. The office for Money Minders is in Scarborough. For more information, to volunteer or enlist the services of Money Minders, call 207-396-6538 or email ngray@smaaa.org.